You confront the ball early to dominate the game inside of the base line. You fight with consistency and speed from the base line. You win the match with diversity and by using every corner of the court. 1914- The first Wilson Tennis Racket, priced at only $.075, is crafted with an all wood, second growth ash tree frame and fine-combed cedar handle. 1935- The Ellsworth Vines tennis rackets introduce customization to the game of tennis. 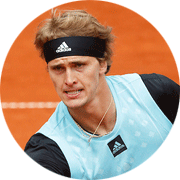 For the first time, athletes were able to dictate the weight and balance of their racket. 1935- The release of the original leather tennis handle wrap, known as the Mahogany Leather Grip, gave athletes new and unparallel feel and grip. The Jack Kramer Autograph tennis racket introduced unforeseen power to the game of tennis and was produced featuring all ash laminated construction. 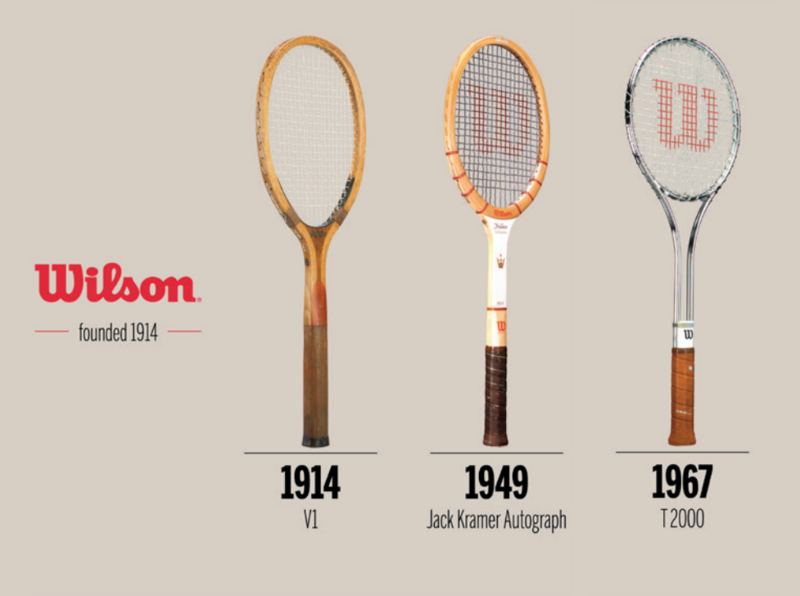 Over 10 million Jack Kramer rackets were eventually sold between 1949 and 1981. The racket was used by John McEnroe, Tracy Austin, Arthur Ashe, Billie Jean King, and many others on its way to winning more Grand Slams than any other racket during this time. 1967- The era of wooden rackets is stirred with the introduction of the first, commercial metal racket - the Wilson T2000. 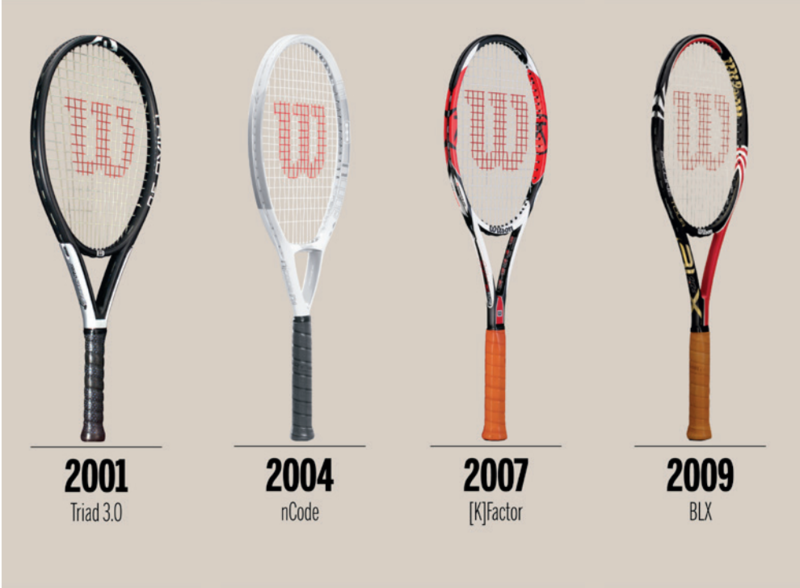 Its strength and lightweight body still influence the way rackets are built today. 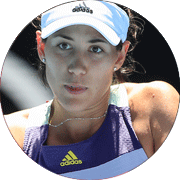 The beautifully balanced Strata-Bow racket for the serious female player. Used by Billie Jean King in her record fifth Wimbledon victory, this racket offered long handle pallets to reduce torque, and adds strength and stiffness to the shaft and flexibility to the head. The tournament-quality King Autograph was made of the finest ash with natural beech shoulder overlays, and complemented by beautiful long blue Speed-Flex fiber throat faces. 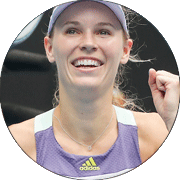 A Championship racket specifically designed to meet the needs of serious female players. Frame weight specifications are lighter overall and especially light in the head for maneuverability. The shaft was more flexible for increased power on all shots. The Chris Evert had a longer, 7” high-tack grip for better control, especially on two-handed shots. It was made with famous American white ash and Strata-Bow construction. 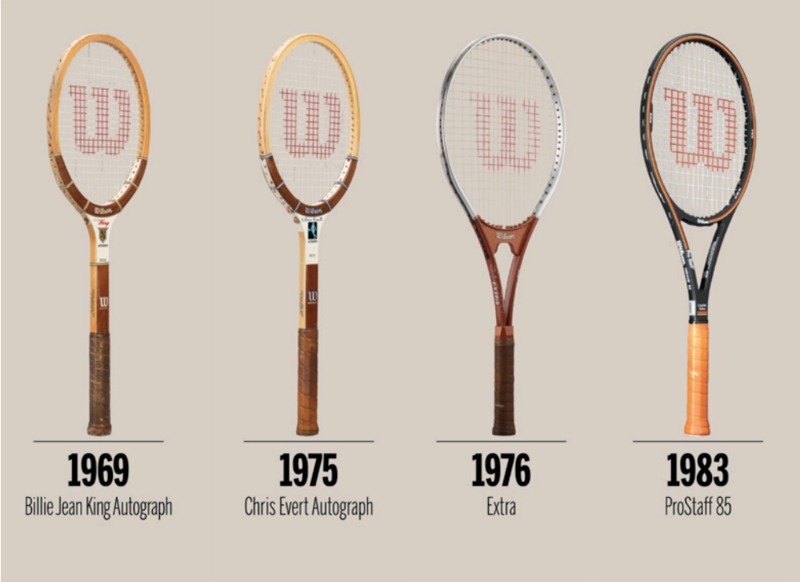 1980- Wilson begins developing rackets with an entirely new construction¬– graphite and Kevlar. 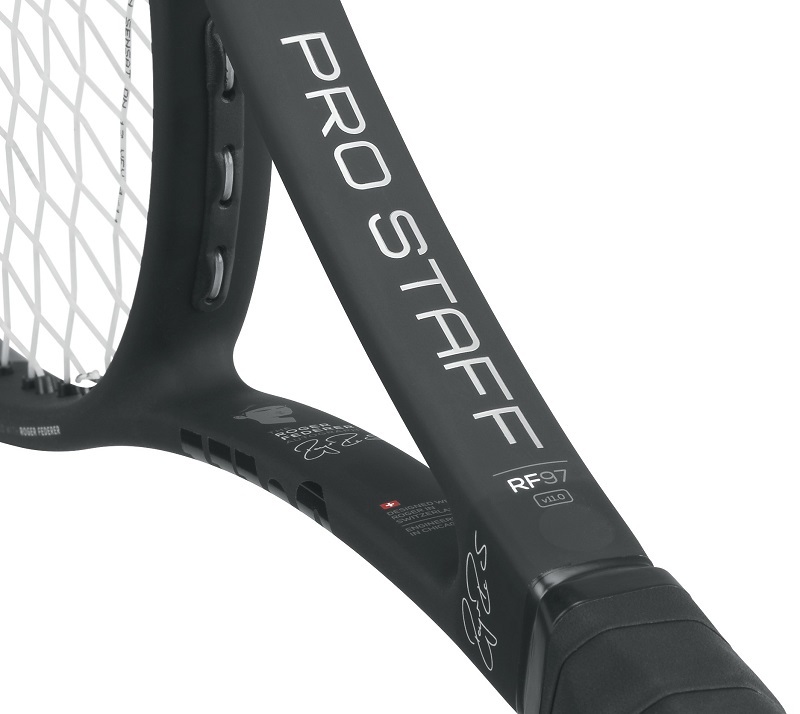 The Pro Staff racket becomes a favorite amongst pro players. 1987- The Wilson Profile Racket is the first wide body racket in tennis – providing a completely new, never-before-seen level of power to players. 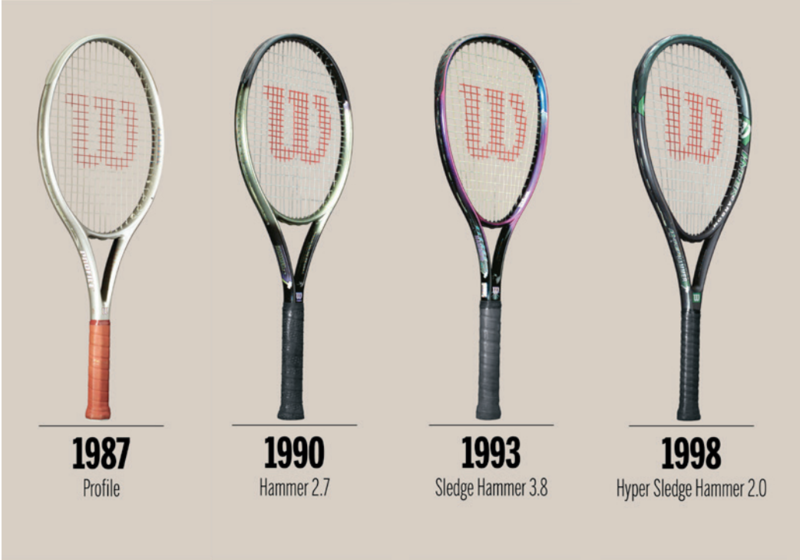 1990- Wilson introduces Hammer technology, providing players with the largest sweet spot of any racket. The Hammer 2.7si weighed only 10oz and was one of the lightest, and most powerful rackets of its time. The Sledge Hamer takes the Hammer weighting system one step further. Lighter than any other previous racket at 9.2 oz, the weight distribution, “fan” head shape and string pattern raised the sweet spot to the upper part of the frame where most balls are hit. 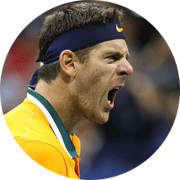 Wilson corners the market on lightweight racquets with an ultra-high modulus material called Hyper Carbon™. Originally used in the aerospace industry, Hyper Carbon is the lightest, stiffest, and strongest material ever used in a tennis racket. After its introduction in October 1998, the Hyper Sledge Hammer® 2.0 quickly became the number one selling racket in the U.S.
Wilson makes a breakthrough in the quest to offer power, comfort and control without compromising one for the other. The revolutionary tri-component design separated the entire head and handle from touching each other with a new polymer called Iso-Zorb. Maximum power in the head, control in the handle and comfort in the Iso-Zorb delivers a level of performance impossible in all previous one-piece rackets. Wilson introduces the nCODE technology. 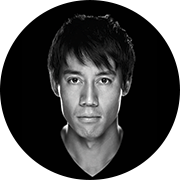 With the nano technology™, Wilson broke the atomic code of the racket to create a new class of frame. This revolutionary process, featuring new frame design and new string bed technology (nZone), delivered greater life, power and playability. nCode rackets measure up to 2 times stronger, 2 times more stable and 22% more powerful than ordinary rackets. 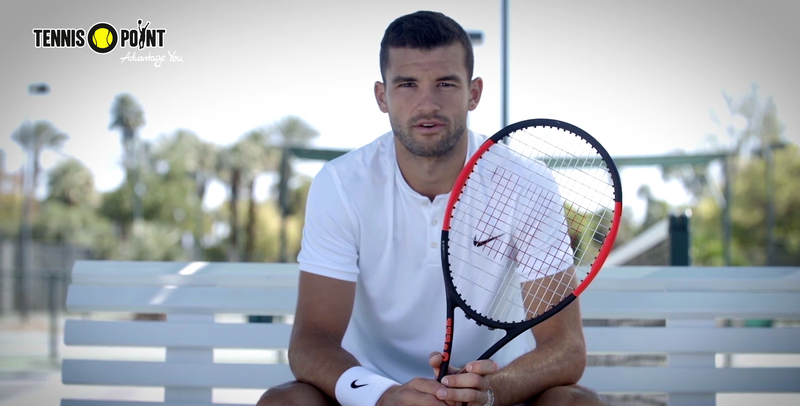 Four groundbreaking technologies combine to create the [k]factor racquet. Serena Williams and Roger Rederer switch to [k] factor at the Australian Open and take home the title. [K]Factor combines the next generation in nano technology and unique frame engineering innovations ([K]onnector™, [K]ontour Yoke™ and [K]ompact Center™) that result in the ultimate line of [K]ontrol rackets for all player types. This year marks a century of sport for Wilson Sporting Goods Co., a milestone achieved by a small number of the world’s strongest brands. 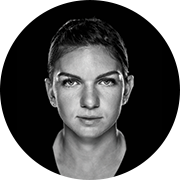 It is with unwavering passion that Wilson chooses to be about more than just products. 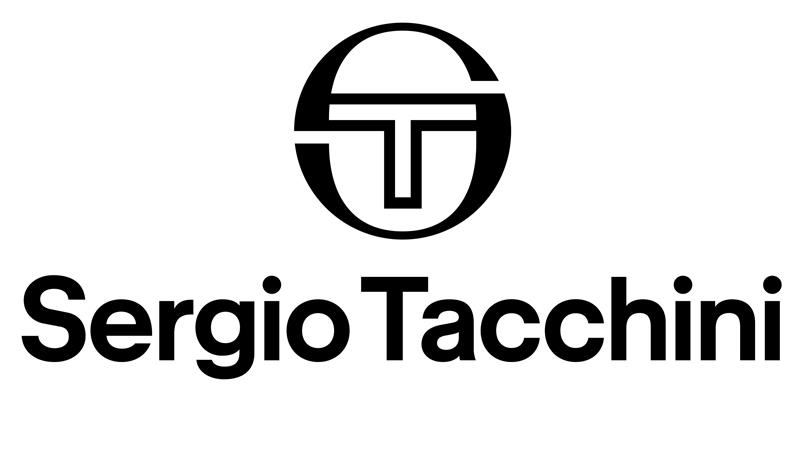 This brand exists to create and be a part of memories that people cherish. 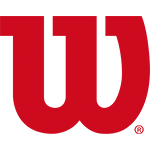 Wilson has operated with this purpose since 1914, and as a result has been part of more winning moments than any other company in sports. This includes 500+ Tennis Grand Slams, 61 Golf Majors, 20 Basketball Final Four Championships, 93 World Series and 47 Super Bowls. Over the last 25 years, spin has revolutionized the game of tennis. The new Spin Effect Technology is about creating more spin without changing your shot. Wilson engineers have fine-tuned every aspect of the racket to add over 200+ RPM’s more spin to every shot, allowing for 2 more inches of net clearance and a margin of error of 12 more inches. 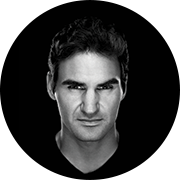 The first Wilson autograph racket in nearly 40 years, the RF97 sports the pure, classic feel of the iconic Pro Staff line in a frame co-designed by Roger Federer himself. Perfect for aggressive players who crave more command of their shots, this racket features a 10% larger sweet spot and decidedly more punch on volleys and groundstrokes. 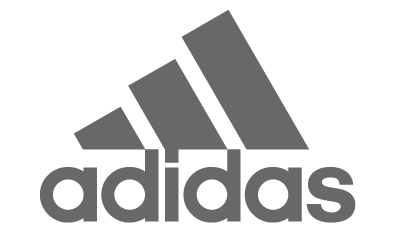 Wilson Labs developed a minimalistic aesthetic with simple, modern, clean lines and bold color accents that symbolize the strength, power and ability of every player. By focusing on the essentials and stripping away all the unnecessary elements, Wilson created timeless, uncontaminated designs that are meticulous in detail and bold in their beauty. Led by the launch of the updated RF97 Autograph, which featured a matte black velvet frame, black chrome finish and laser engraving never before seen in tennis, these rackets have a new DNA that creates a psychological edge for the player bold enough to pick one up. Countervail is the all-new patented material integrated exclusively into Wilson performance frames that directs the ball's energy within the frame instead of the body. Rackets with Countervail technology help reduce fatigue, resulting in 40% greater accuracy and control over shots when nearing exhaustion, 30% less racket vibration and 10% more shots players were able to hit. This innovative technology was launched with Burn and Blade during the fall of 2016, and later added to the Ultra and Pro Staff lines in 2017. 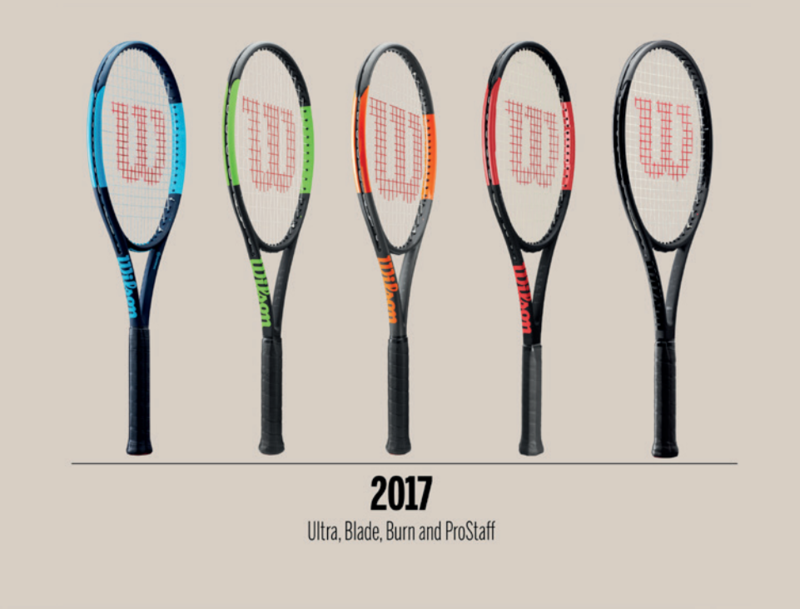 2017- Wilson owns more Grand Slam titles than any other tennis brand. Over 600 and counting. Becoming one of the best athletes of all time doesn’t happen by accident. 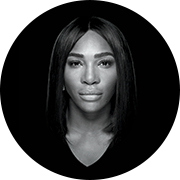 Serena dedicated her life to creating an unmatched legacy on and off the court. To honor her achievements, Wilson created the Blade SW104 Autograph racket, equipped with Wilson’s all-new Countervail technology. 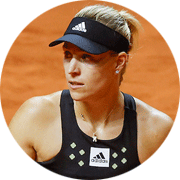 This year she also set the record for the most major trophies in the open era by winning her 23rd Grand Slam at the Australian Open, the first slam she used the autograph racket. 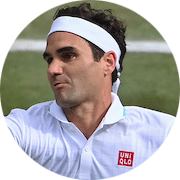 2018- Roger Federer has been ranked #1 for 302 weeks, won a total of 1139 matches, 96 titles, 20 grand slam titles, and 2 Olympic medals – a record he continues to grow. 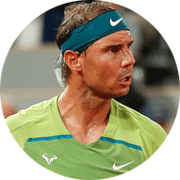 He has been described by many as the greatest athlete to ever play the game of tennis. 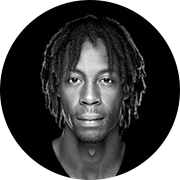 Roger has played exclusively with Wilson through his entire Junior and Professional career.